Whenever a scattered and weedy lawn requires installation or you’re facing a infertile backyard then sod installation is the best option to make your lawn lush and green. 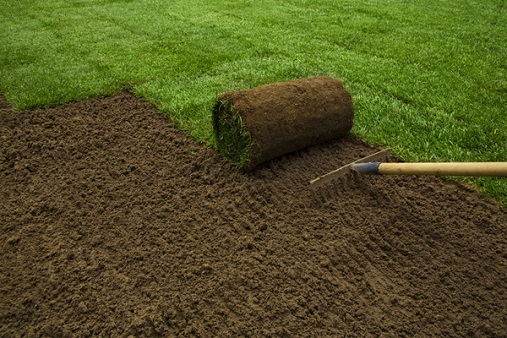 We will choose the right types of sod. Sod installation prevents you spend amount on renewing a lawn. At Caligreen Landscaping we have the tools and the skill to take your concepts and turn them into a beautiful work of art that you can be proud of. Choosing from all the different types of sod may seem like a discouraging way to begin your new sod installation, but we promise to make it as easy as possible. There are two main seasons for sod installation. First is laying sod in spring where cool-season grasses rule and any time of year where warm-season turf is king. • Create a mental plan on how to install the sod. • Water lawn thoroughly and evenly. It would mean alot for us if you could review our work!